"I saw the pale student of unhallowed arts kneeling beside the thing he had put together. I saw the hideous phantasm of a man stretched out, and then, on the working of some powerful engine, show signs of life and stir with an uneasy, half-vital motion." A summer evening's ghost stories, lonely insomnia in a moonlit Alpine's room, and a runaway imagination--fired by philosophical discussions with Lord Byron and Percy Bysshe Shelley about science, galvanism, and the origins of life--conspired to produce for Marry Shelley this haunting night specter. By morning, it had become the germ of her Romantic masterpiece, Frankenstein. Written in 1816 when she was only nineteen, Mary Shelley's novel of "The Modern Prometheus" chillingly dramatized the dangerous potential of life begotten upon a laboratory table. 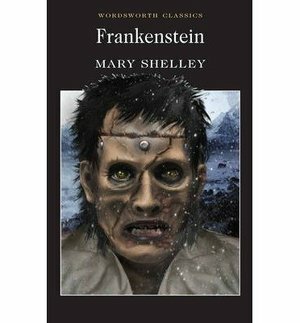 A frightening creation myth for our own time, Frankenstein remains one of the greatest horror stories ever written and is an undisputed classic of its kind.From the Paperback edition.